Jokes Joe Biden made Friday about whether he had permission to hug someone had some questioning whether he’s really taking the issue of violating people’s space seriously. As Biden was introduced before speaking at an International Brotherhood of Electrical Workers conference in Washington, D.C., he hugged the union’s president, Lonnie R. Stephenson, then joked, “I just want you to know I had permission to hug Lonnie,” the New York Times reports. The audience, which was mostly white and male, burst into laughter. Later, during his speech, he invited a group of children up onstage, hugged one of the boys, then joked, “By the way, he gave me permission to touch him,” prompting more laughter from the crowd, according to the Washington Post. The joking struck a nerve, especially among women who have come forward recently to say that Biden violated their space in past encounters and that it made them uncomfortable. 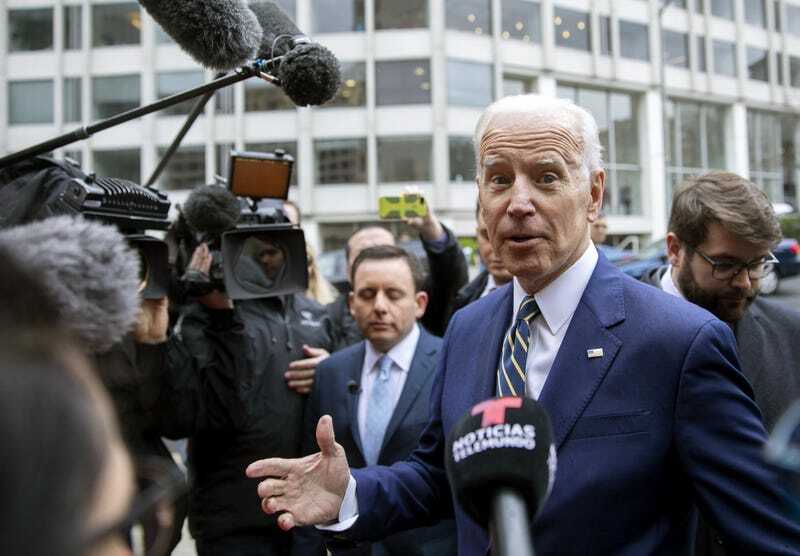 In speaking with reporters following the speech, Biden avoided making a direct apology about his past actions, but said he understood that he needed to change his touchy-feely ways.